Kroger is introducing Kroger Pay, which allows customers to pay for groceries and earn rewards points on their smartphone. 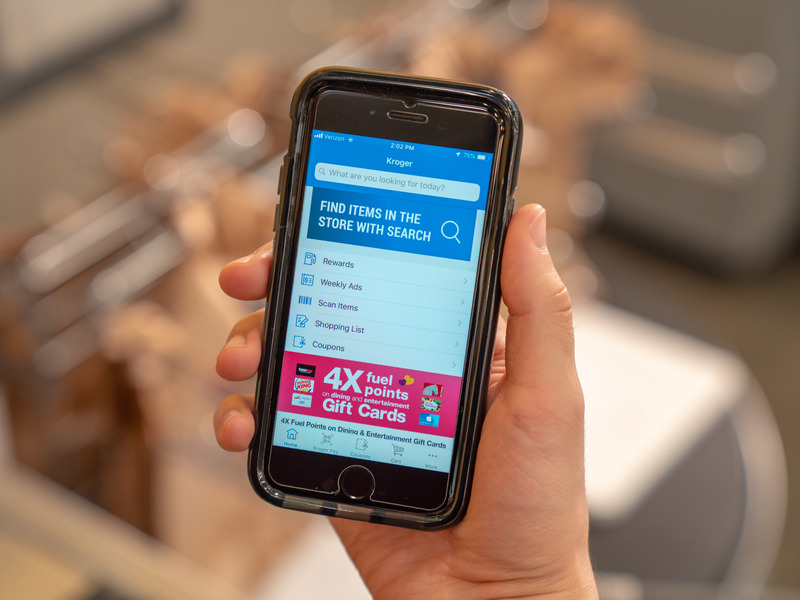 Tech is increasingly crucial to Kroger, with digital sales reaching $5 billion in 2018, a figure that the grocer is predicting could nearly double in 2019. In January, the company began rolling out digital shelves that display pricing and nutritional information, video ads, and coupons. Kroger has another piece of new tech that could transform grocery shopping as we know it. On Wednesday, the largest grocery chain in the United States announced the introduction of mobile-payment system Kroger Pay. Kroger Pay combines both payment and loyalty cards, allowing customers to check out by having the cashier scan a QR code on their smartphone. Using Kroger Pay, customers can earn fuel points and grocery rewards, just as they would with a traditional rewards card. 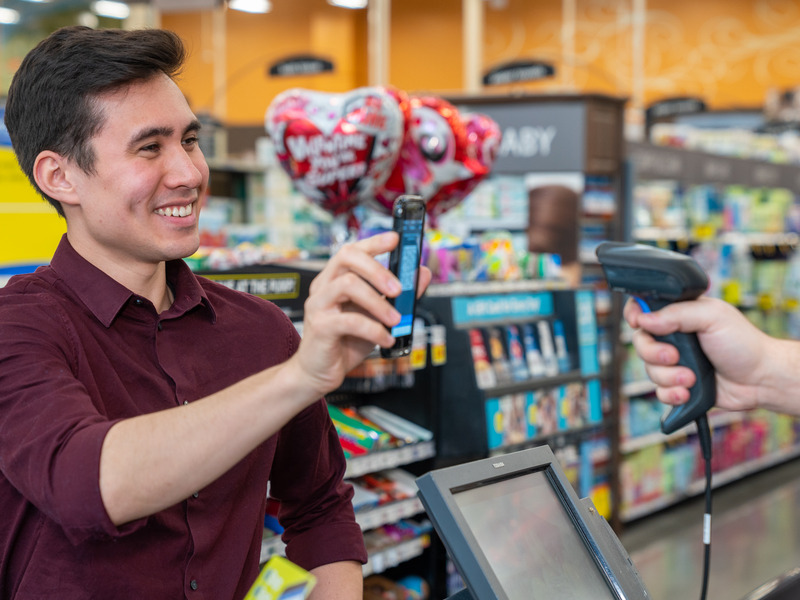 By having customers pay with a single scan, Kroger aims to cut down on checkout times and make the experience easier for customers and employees. Kroger Pay can be used at both traditional checkout lanes and self-checkout stations. Along with Kroger Pay, the grocery company is also introducing a Kroger REWARDS debit card, which will be available at all stores this spring. According to the company, paying with the card allows customers to earn bonus fuel points and discounts, with rewards doubling when customers pay with the card via Kroger Pay. Technology is becoming an increasingly crucial part of the grocery business as online sales grow and Amazon’s power expands following the tech giant’s 2017 acquisition of Whole Foods. Even before the Whole Foods acquisition, Kroger had been working to stay on the cutting edge. In 2018, Kroger’s digital sales were a $5 billion business, a figure that the grocer is predicting could nearly double in 2019. „The digital price tags give Kroger the ability to instantly change prices and activate promotions across its stores, enabling it to undercut sales at other retailers and freeing up employees who would otherwise change prices by hand,“ Business Insider’s Hayley Peterson reported. SEE ALSO: Some fast-food CEOs make hundreds of times as much as the average worker. Here’s how the biggest names stack up.